It is unfamiliar waters I sail into when I arrive at VEGA on this miserably cold and rainy Saturday evening, encouraged by the many positive reviews of Spiritualized’s latest album, “And Nothing Hurt”, yet having no idea what to expect from the concert, musically or otherwise. 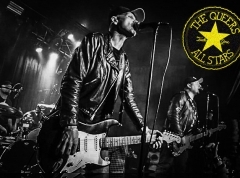 It is obvious that the Rugby, United Kingdom-based band is a popular phenomenon though, as the main hall of this iconic venue looks to be very near its maximum capacity tonight. Then again, in today’s hipster age people will gravitate toward genres such as neo-psychedelia, shoegaze and space-rock like moths to flame, and fortunately for Spiritualized, all of those terms apply when attempting to describe what the ensemble sounds like. 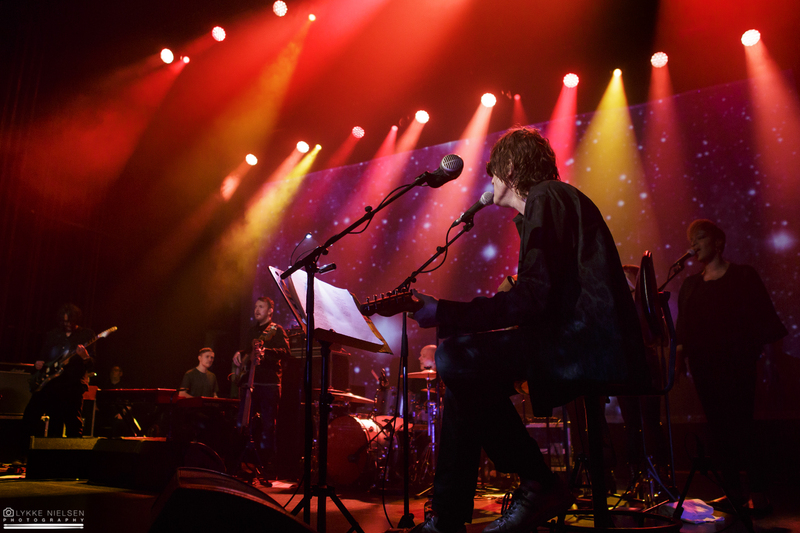 With eight musicians arranged into a crescent, there is a true ensemble look and feel about Spiritualized that harks back to the ‘60s and ‘70s — an impression strengthened by the bushy fringe and thick sunglasses worn by the seated frontman, Jason Pierce. In my mind, this bodes well for the members to feed off one another and really get into those grooves and jams that are so central to this genre, and the proceedings certainly get started in that manner. “Hold On” (taken from the group’s 2003 album, “Amazing Grace”) slowly yet noisily builds up to the gleefully psychedelic “Come Together” (off 1997’s “Ladies & Gentlemen We Are Floating in Space), which in turn gets the crowd dancing and is eventually met by a roar of approval when it draws to a close, spelling great things for the rest of the show. 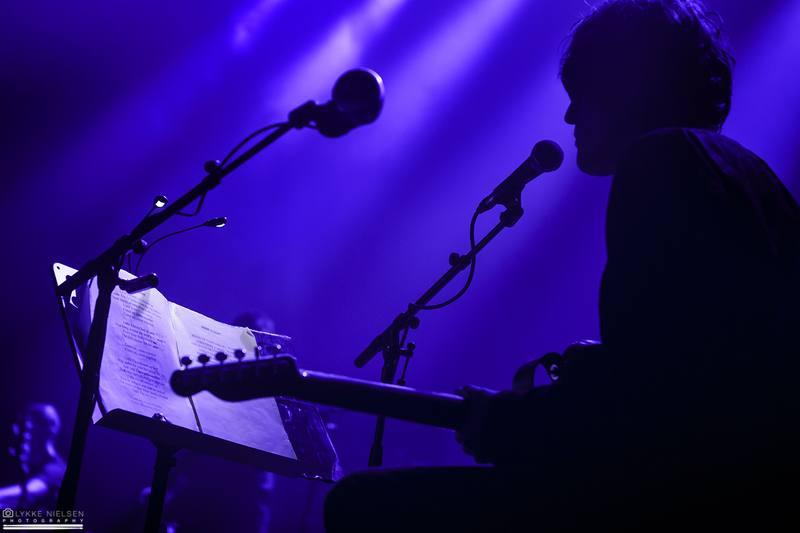 Yet when “Shine a Light” — a lengthy ballad featuring on 1992’s “Lazer Guided Melodies” — is aired in its wake, it becomes obvious that Spiritualized have a different sort of performance in mind, one in which the lighter, shoegazing aspects of their music are given precedence. It is a beautiful song, especially in the end as the instruments slowly fade out and all that’s left is quiet singing by the three back-up vocalists. But as the subdued style it introduces goes on, and on, and on, the ecstasy that was initially in the air starts to take hits. The reason for the dynamics of tonight’s set are no doubt there to ease us into a play-through of the aforementioned “And Nothing Hurt”, which, by any measure, is an extremely understated album. Yet while the likes of “Soul on Fire” (which appears on 2008’s “Songs in A&E”) impress with their moodiness and — in the case of that song — an elegant harmonica soliloquy from guitarist Doggen Foster, it is hard not to feel like those dynamics are just too flat to keep the audience on board for the entirety of the concert. This realisation hits hard when tracks such as “On the Sunshine” and “The Morning After” (both off the new record) eventually do introduce bursts of rock’n’roll energy and quasi-improvisational spacing out to the show, and it makes me wonder why the band did not opt for mixing things up a little more. When there are hundreds of people bowing their heads to stare at their smartphones instead of focusing on the show, then it is hard to argue against the fact that Spiritualized are doing something wrong. There is little movement on stage and the musicians appear to be quite mindful of the shoegazing term often ascribed to this band, but they seem lost enough in the music and they play with enough nerve to warrant a greater degree of attention from their fans. But alas, I cannot blame the fans. By the time “And Nothing Hurt” is brought to conclusion by “Sail on Through”, the atmosphere inside VEGA has seriously wanted and people are already walking out before the inevitable encore. 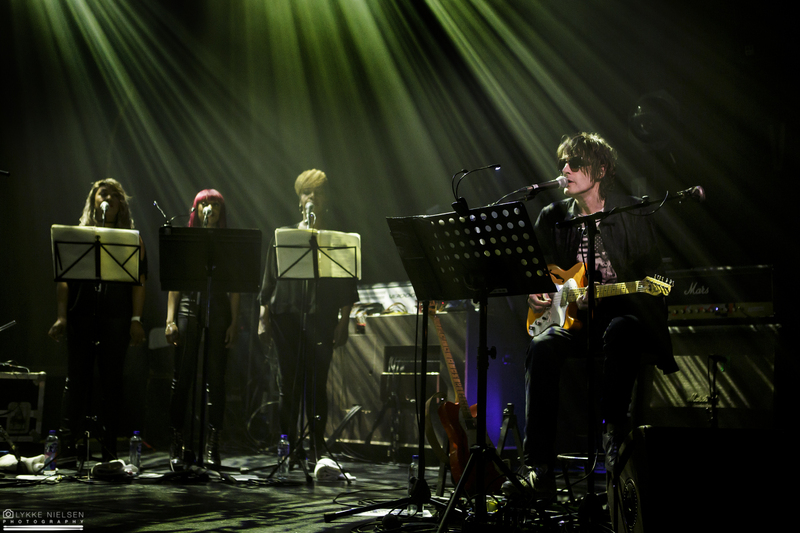 My first experience of Spiritualized thus falls short of blowing me away, but there is still enough evidence packed into the 18 songs they air tonight to leave me convinced that the band will do much better when they perform at Roskilde Festival this coming summer (hopefully with a more balanced set of songs). Tonight, however, I leave shrugging my shoulders about a decent, but ultimately quite underwhelming show.